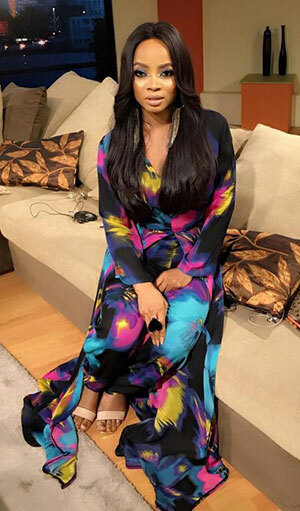 Award-winning presenter Toke Makinwa has left EbonyLife TV’s talkshow Moments. Friday’s episode had the topic ‘We will miss you Toke’ and featured Toke and her co-hosts, Bolanle Olukanni and Tallulah Doherty, reminiscing about her time on the show. Toke joined Moments show in 2014 and has since interviewed many celebrities on the show, alongside her co-hosts. Toke launched her career in 2012 when she featured as a co-host of FlyTime TV show 3LiveChicks. She went on to host a show on Hip TV in 2014. She also has a vlog series, Toke Moments, on YouTube. Moments, a spin-off from Moments with Mo, will continue to air on Fridays at 22.00 on EbonyLife TV, via DSTV channel 165.